Titanic Remembrance Day remembers the R.M.S Titanic which was the unsinkable ship that sank during her maiden voyage on April 15th, 1912, less than 3 hours after striking an iceberg at 11:40PM the prior evening. More than 1,200 people had perished. 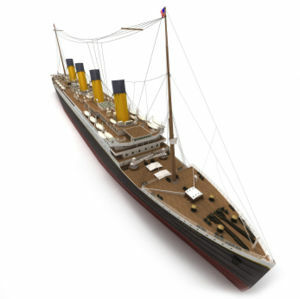 At the time, the Titanic was the largest luxury liner in the world. The search for the Titanic wreckage took several decades until it was located on September 1st, 1985. This page was last modified on 19 February 2013, at 08:58.